3 Little Tricks for Optimizing Your Campaigns - Jumbleberry | Pay for customers, not clicks and impressions. The conversion rate of your funnel is one of the most important factors to consider when designing a CPA campaign, as ad placements are highly competitive and even small margins of victory will add up to big money over time. Refining design and copy elements is a common approach for improving conversion rate, but there are also less talked about strategies that can have just as much impact. Allow me to detail 3 optimizations that have boosted the conversion rate, so much, that we treat them as standards in our conversion rate optimization playbook. While mobile-responsive pages can sometimes make it easier to design and deploy a campaign, they can just as easily result in unintended consequences when incorrectly implemented. Marketing wizards would like you to believe that your users will be seamlessly shifting from Mobile to Tablet and back in one browsing session, but the reality is that the vast majority will only ever experience your content through a single screen. Poorly configured responsive pages take longer to load and are more prone to bugs that break functionality or accidentally hide your content. Mobile users tend to read less, and place more emphasis on convenience and performance, whereas Desktop users prefer large graphics and unique experiences. For this reason, it's typically best to consider the consumer profile of each device type independently, rather than trying to shoe-horn an existing design to save cost. What is this product or service? If your landing page does not answer all of these questions at first glance, then there is a good chance the customers will not stick around long enough to figure it out themselves. 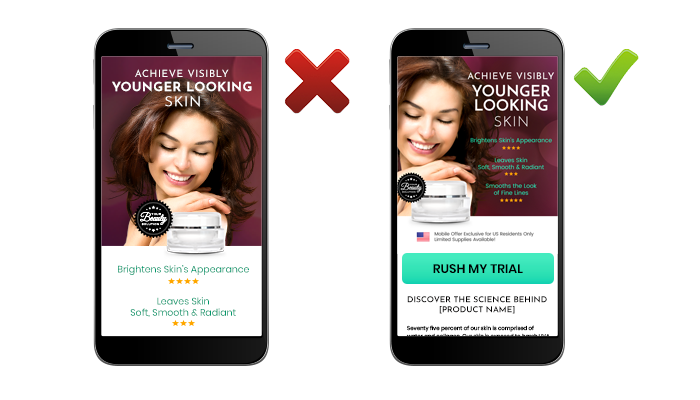 Additionally, you should always ensure your landing page has a single, clearly marked call-to-action button above the fold that allows captive users to act immediately on their purchase intent. 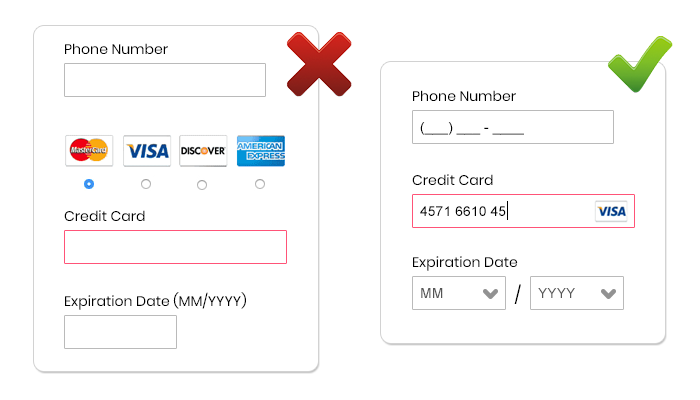 Once you solve the problem of pesky validation issues, further ease check-out friction by breaking up forms into bite-size pieces that exist across multiple pages. Time is precious, and if a customer feels like checking out is a chore, their first (and maybe last) reaction is "not right now!". Every step should seem like the home stretch. This guide is by no means a complete resource for campaign optimization, but when you mix the above three techniques into the broth of your existing funnel, as the great Carl Weathers would say, "Baby, you've got a stew going!"